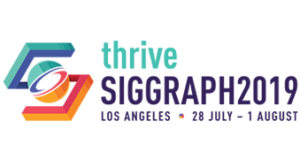 The deadline for the ACM/SIGGRAPH conference on Motion, Interaction, and Games (MIG 2018) has been extended by a week. The new submission deadline is July 16 (23:59 AoE timezone). All of the accepted regular papers will be archived in the EG and ACM digital libraries. The top 10% papers will be selected for publication in a special section of the Elseviers Computers & Graphics. We also invite poster submissions for work that has been published elsewhere but is of particular relevance to the MIG community (this work and the venue in which it as published should be identified in the abstract), or work that is of interest to the MIG community but is not yet mature enough to appear as a short or long paper.